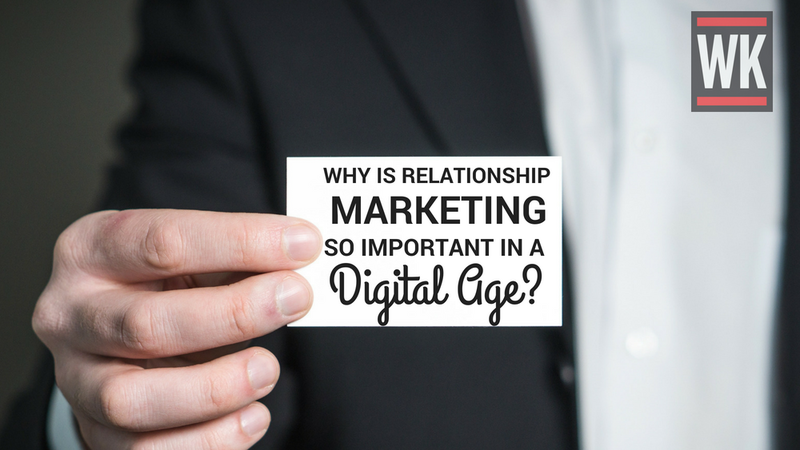 Why Is Relationship Marketing So Important In The Digital Age? I often get asked about my “marketing secrets” and how my audience are so engaged with me on a regular basis, especially on Social Media. It’s never just one thing. It’s the combination of a number of different nurturing and relationship-focused strategies that I put in place. A huge part of my marketing is based around relationship-building, and I have found this to be so important especially in the digital age. We are more focused on digital than ever before, but our customers still want that human interaction regardless of how advanced technology is. I want to share with you the importance of relationship marketing in a digital age, and my top tips for building an audience that trusts you, purchases from you and becomes a brand advocate of yours. Relationship marketing focuses on customer retention, satisfaction and valuing customers. The sole purpose of this is to actually engage with, and nurture your current customers rather than acquiring new customers. Both sides are important, but I want to focus on actually retaining current customers and how this can be achieved. Why Is Relationship Marketing So Important? You may be thinking that as a business, you have more opportunity by reaching out to new customers, and driving unique business rather than retaining existing customers. You might be right in the short-term but if you’re looking at future proofing your business, relationship marketing is the way to go. Here are a number of reasons why relationship marketing is so important. Customers avoid shopping around if they have already had a positive experience with a specific business, and will likely go back for more, if a relationship is built. This in turn builds loyalty. Because loyalty has been built, and trust becomes a key factor; a customer is more focused on the value they are getting, rather than the cost of something. If you are successful with your relationship marketing and you have a repeat customer who is happy, they are going to refer your business to their friends, family and possibly their audience. In the long term, relationship marketing helps you sell more. Returning customers are exactly that; returning. Not only that, but they both buy more, and buy more often. I have found it much easier to upsell or cross-sell one of my online courses to someone who has already taken part in one of my courses, than someone who hasn’t purchased from me before. You’ve only had to acquire this customer once, so there are no further costs associated to this; only nurturing. Having a successful relationship marketing strategy isn’t easy because there is a lot you need to think about. To make this easier for you, here are my 6 key elements of relationship marketing. Regardless of how advanced technology is, or whether Artificial Intelligence plays a huge part in communication, human interaction is still going to be a huge part of relationship marketing. Excellent customer service is key when looking at ways to build relationships with your community online. When delivering customer service, you need to make sure that it is both engaging and personalised. If a customer reaches out to you online about their recent order and you ignore them, or give them a standard reply, they won’t feel important. As soon as they feel unimportant to a business, they decide to spend their money elsewhere. A huge part of my relationship marketing strategy is writing content that not only connects with my audience, but educates them in the way they want to be educated. I know that, from doing extensive research into what my audience wants that “how-to”, “why” and “top tips” are key phrases my audience look for in content. My audience also enjoy video-based content whether this is talking about a webinar, or a live-stream. Relationship marketing isn’t about promoting your business. It’s about informing your audience. Selling today means nothing if you’re not thinking about tomorrow. Build your audience for the future, and not for the “quick win”. I have built a huge audience across multiple platforms who read the content I create on a regular basis. Think about how you can go beyond acquisition and offer free content that is appreciated. I run regular webinars, have free resources on my website and write regular content for my two websites, as well as partners. Let’s strip back all of the misconceptions around Social Media, and the negativity around it. Take the phrase “Social Media”. It’s meant as a way to socially share media (content) that engages a specific community. It has become the number one place that you audience love to hang out, and engage so it needs to be a huge part of your relationship marketing strategy. Don’t think that you have to be on every single social network to make your strategy a success. Do your research, find out where your audience are most engaged and ONLY use those social networks. I always tell businesses to avoid spreading themselves too thin because this only negatively impacts a customers view of a business. Probably the most important part of my relationship marketing strategy is email marketing. I use email marketing as one of the powerful ways in which I can nurture, personalise and engage with my audience. To make sure I was getting the most out of my audience, I spend a lot of time finding out which email marketing tool would give me what I’m looking for. I started with MailChimp and as my business grew, I moved to ActiveCampaign. I found out that Infusionsoft catered more towards nurturing through automation so I made the move to Infusionsoft in 2017 and never looked back. As important as it is to engage through email, you first need to understand what tool you should be using as it will have a huge impact on open rate, click through rate and general engagement. There are a number of different ways that I like to reward my audience members when it comes to their undivided loyalty. This could be through a competition or giveaway but usually, through discounts and offers. If a member of my community has purchased a course of mine already, I will always offer a discount for the next course they take. I will also allow them to offer a course to friends/colleagues for a heavily discounted price too. It costs me next to nothing to do this, and I get such a high ROE (return on engagement) and ROI (return on investment) because I am both securing a new customer, and keeping a return customer happy. To make a strategy work, your customers need to be on-board. The only way to make this truly happen, is to ask them. You want to help your customers, and solve their pain and to do this; you need to know what pain needs solving. This may be quite hard in the beginning and you may find that your questionnaires aren’t being answered but give it time. Customers are much more willing to give feedback once they like and trust you as a business. Feedback doesn’t have to be limited to surveys and questionnaires. It could be about running a Twitter poll, a Facebook Poll or an Instagram Stories Poll. Wherever your audience are most engaged with you is where you should ask for feedback. After reading all of the above, have you understood the importance of relationship marketing in the digital age? What changes are you going to make to your strategy so that you are retaining customers successfully? It’s an interesting point. One of the keys to customer loyalty is transparency. No one likes to feel like they’ve been shafted with hidden costs. If you fly at low cost you at least a) have low expectations and b) know exactly what you are paying for. RyanAirs online UI/UX is completely transparent in what products cost what and are straightforward to follow and fill out to fulfillment. Would you feel ‘loyalty’ to that? Probably not, but for those who are cost conscious (which are obviously and understandably many) that’s where the repeat sales come in. The real question is , in the age of the fickle and information empowered consumer how do the high end airline brands maintain their high levels of CEM without lowering their costs? Is there a Third Way? People tell me loyalty is dead. That people don’t want to sign up for yet another loyalty card with points to earn and burn. That hyper personalization will make you feel individually valued without joining ‘tiers’ that lump you in with others like so much cattle. And yet quantus frequent flier program makes more profit than the airline. By a margin. Interesting times! Very interesting times and a question I know a few major airlines are asking themselves and as you’ve said, is there a third way? I’m a die-hard networker, and this article is GREAT! Business has to be about people, and if we don’t build relationships, we get 1-time customers, instead of long-term/lifetime clients. A steady supply of 1-time customers truthfully is more work than most companies and entrepreneurs have the time or inclination to cultivate.